Author: GGCA, ministry of Foreign Affairs of Finland, IUCN. (2010, November). The overall objective of Jordan’s climate change Gender Action Plan (ccGAP) is to ensure that national climate change efforts mainstream gender considerations so that women and men can have access to, participate in, contribute to and hence optimally benefit from climate change initiatives, programs, policies, and funds. 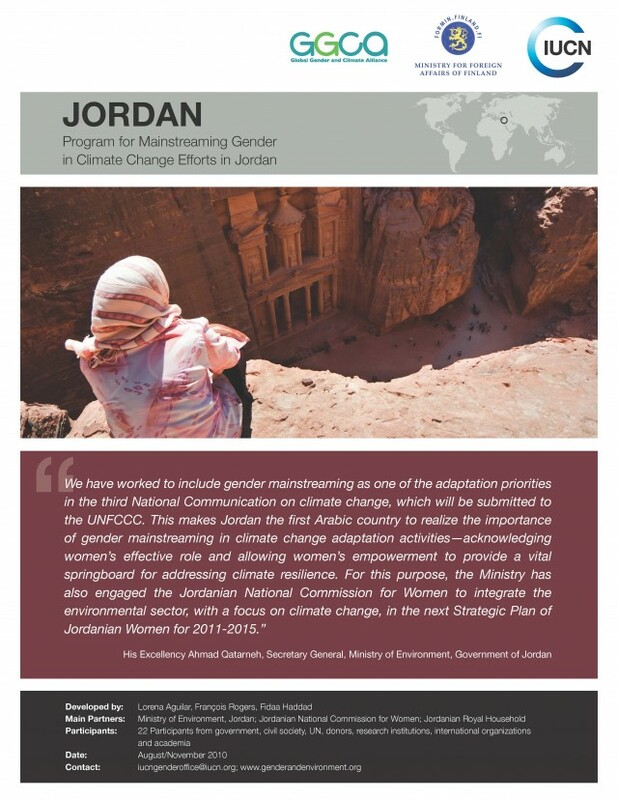 Jordan was the first country globally to develop a gender and climate change strategy; this fact-sheet explains the priority areas of this plan.